This wedding season is going bizarre as after Deepika and Ranveer wedding, it’s Priyanka and Nick Jonas are in limelight. In their traditional Hindu and Christian wedding, the extravaganza was overwhelming. 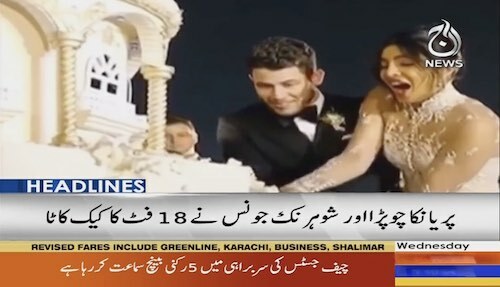 To wrap up their wedding functions, they cut an 18 feet long cake.